Pelican Shore Cottages Welcomes Boat Race Fans to Waterfest 2018!!! Speed, Power and Excitement comes to Englewood, Florida for a three day festival, November, 16th, 17th and 18th. 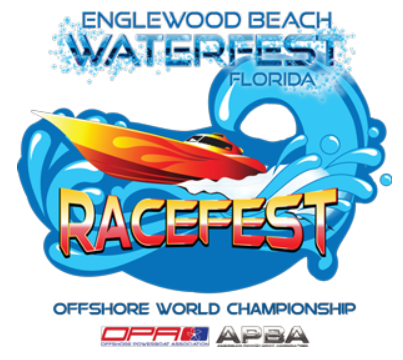 This is the World Championships for OPA Racing (Offshore Powerboat Association) with expected attendance of over 50 boats running at speeds up to and over 150 miles per hour! We have Cottages and Apartments available! Go HERE to reserve your Cottage/Apartment. Manasota Key Beach Re-Nourishment Project is a GO! Pelican Shore Cottages Goes Live with New Website! We had a wonderful time on our visit to Pelican Shore Cottages. We had a simply beautiful view of the Gulf of Mexico and just steps to it. The cottage was quaint and comfortable and so reminiscent of “Old Florida”. We just loved it and will definitely return! A little piece of paradise! We love it here. Love the unit and the place and Peppy is awesome! Very clean & rustic! This is the 2nd year we have stayed. See dolphins virtually every day. Great area for food, drinks, sunsets and shopping close too. Shells & shark teeth galore. We can’t wait to visit again.